As the final season of Game of Thrones has finally begun, all fans can do in between episodes is obsessively rewatch and theorize like their lives depend on it. Reddit has been flooded with predictions for the rest of the season, and it looks like theories on how it all ends will keep growing by the minute. But despite what we want to happen in the finale, we still have about a week to go just to get to the second episode. So let’s speculate what’ll happen then, when Thrones is back on April 21. Many fans were shocked in the Season 8 premiere to see Jon Snow learn his true parentage already. As he reunites with Samwell Tarly at the Crypts of Winterfell, Jon’s best friend must reveal who his parents really were: Lyanna Stark and Rhaegar Targaryen. This, of course, makes Jon the true heir to the Iron Throne, as well as Daenerys Targaryen’s nephew. With news as big as this, plus the fact that the pair is romantically involved, Jon will have to tell Dany the truth immediately. There’s no way he’ll be able to keep it a secret for long. Jaime Lannister is back at Winterfell at the end of the latest episode, however it’s not just Bran Stark he’s going to have to deal with. In the preview for next week, we see Jaime on trial before Daenerys, as in case you forgot, he was the one who killed her father, the Mad King Aerys Targaryen. As we know from his conversation with Brienne of Tarth back in Season 3, Jaime only slayed Aerys because he was planning to kill innocent people by burning up the whole city, along with his father Tywin Lannister. In the new episode, Jaime might explain this to Daenerys, but it’s more likely he’ll just ask for forgiveness. Given the stakes with the White Walkers quickly approaching, there won’t be time for a heart to heart between the characters, especially not after we got that extremely emotional scene from Jaime already. He knows of the threat in the North, plus he’s not proud of killing the Mad King. He even tossed the title of the Kingslayer years ago. In favor of the greater good, Jaime must apologize to Daenerys and (hopefully) move on. Out of the multiple long-awaited reunions we saw in last night’s episode, fans were disappointed we didn’t see one between Brienne of Tarth and Tormund Giantsbane. While we’re not sure if there’s genuine mutual feelings between the pair, we know at least Tormund has been after Brienne for a while now. Seeing them meet again in the new episode might not lead to anything, but it’ll be entertaining at the very least. As the preview for next week shows Tormund in Winterfell, he’ll have to interact with Brienne. Unfortunately for our favorite characters in the North, the next episode will likely include the Night King and his army arriving at Winterfell. As the preview shows Tormund telling Jon, “Before the sun comes up tomorrow” when asked how long they have, we can assume he’s talking about the undead. 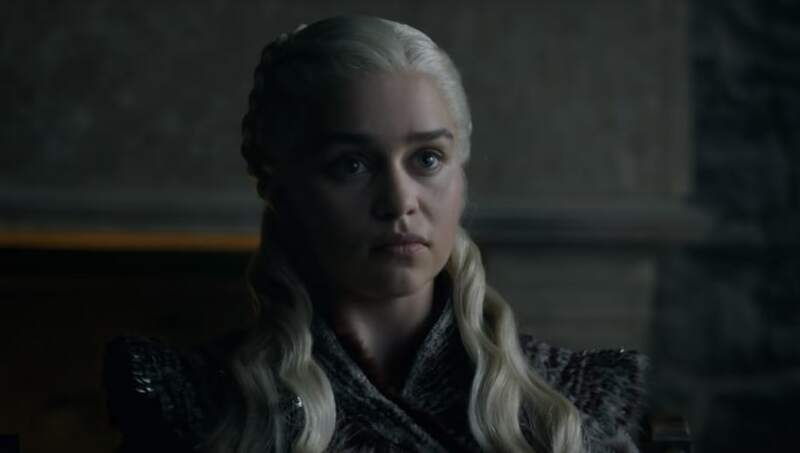 We’re predicting episode two will continue to tie up loose ends, as well as set up the rest of the season, with it ending by the Night King reaching them. Fans are under the impression that since episode three is the longest one, clocking in at 82 minutes, the battle will take place then. Seeing the army of the dead right at the end of the second episode would be the perfect way to set up the next.